Technology purchase decisions used to be the exclusive domain of CIOs, but no longer. Given the expense, risk and cross-functional nature of today’s technology, technology purchase decisions have become strategic decisions, requiring the involvement of the top-most level of management. In fact, CEO involvement in the purchase of technology ranks highest among all functional categories. While CEO involvement is high throughout the technology purchase process among those purchasing technology services, it is particularly high in the critical Final Stage when vendor selection is made and approved. CEOs are also heavily involved in the earlier stages of the technology procurement process. 39.0% of CEOs are involved in the early stage, during which needs are identified, and 33.3% are involved in the middle stage, during which vendors are evaluated and compared. For 2013, 98.3% of CEOs anticipate spending on Technology, with an average spend of $1,577,000. 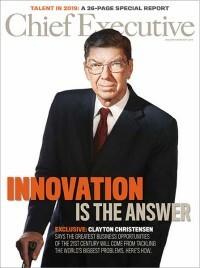 When the CEO is personally involved in procuring Technology, the likelihood is greatly increased that the organization will forward quickly in the evaluation and adoption process (+92.3%), it will become a priority that others in their organization will give serious consideration to and remove roadblocks in the evaluation process (+91.5%), and ultimately become a reality (+89.4%).